The world of Westeros has been defined and shaped by religion, whether held devoutly or used as a pretense for power. 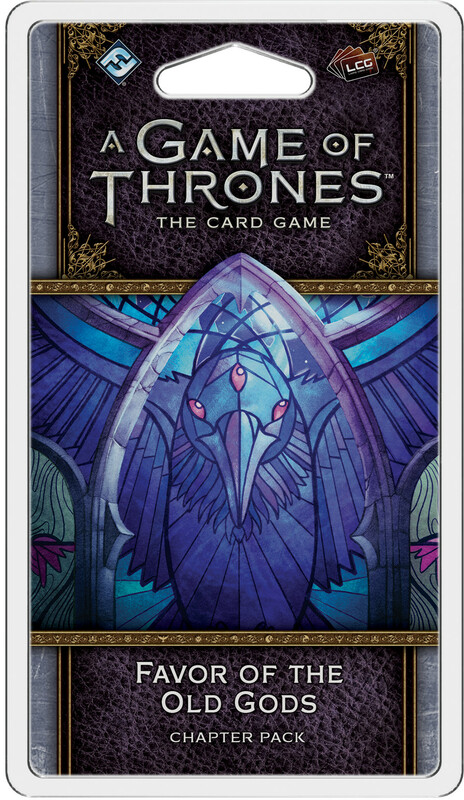 In Favor of the Old Gods, you’ll find the continuation of the “Flight of Crows” cycle, which draws players deeper into the events of A Feast for Crows with cards that feature the bestow keyword or reward you for forging alliances between factions. From a new agenda evoking the mystical powers of the greenseers to characters like Selyse Baratheon and Ser Balon Swann, this Chapter Pack has plenty to offer for every faction.